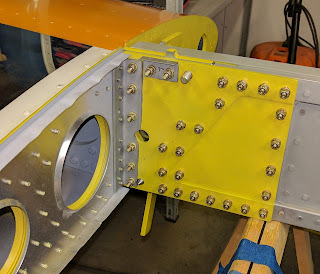 Drilled and reamed the upper left wing bolt. Perfect fit with the adjustable reamer. 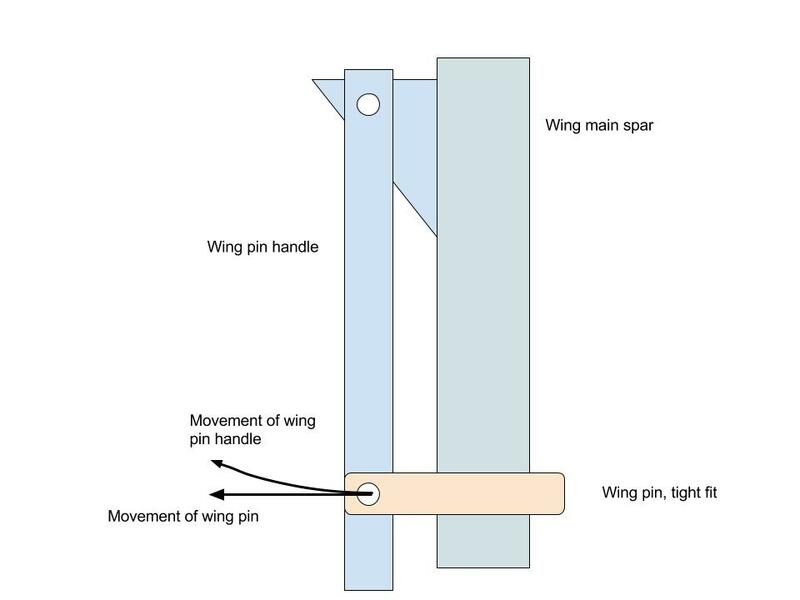 Thinking about the wing pin handle, it is strange this isn't explained in the drawings. The pin is a perfect fit. It can only slide in and out There is no way it can rotate around the pin hole (in pitch direction). The wing pin handle rotates at the upper bolt. For a tight fit of bolts, this will of course not work, because the pin will be bent and will bite. This means the bolt holes must be enlarged. I made a drawing showing the different direction of the lower wing pin handle bolt and the wing pin bolt hole.